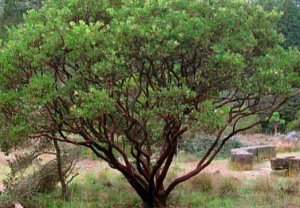 A tree type manzanita that has been a stellar performer in our gardens. Rapid growth to 10′ x 10′ in 8 years. Broad, rounded sage green foliage is held perpendicular to the cinnamon red stems to avoid moisture loss (no flat leaves baking in the sun). In winter to early spring, clusters of white flowers are effective and visited heavily by pollinators. Russet red berries follow but do not last long because of animal predation. Open habit with time that exposes the muscular, smooth mahogany trunks. 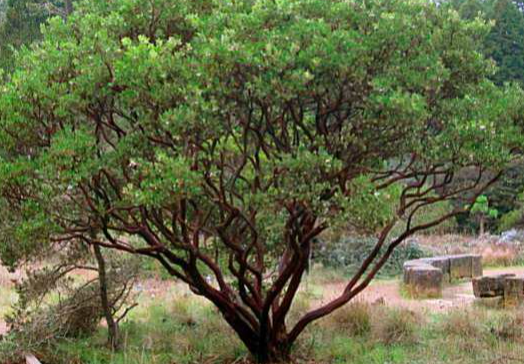 (Its thought the bark exfoliates to deter moss and lichen growth). 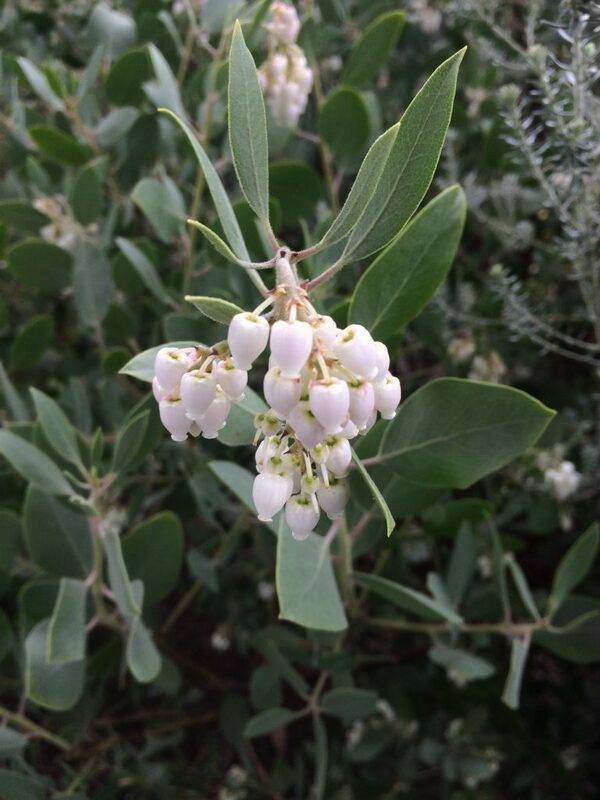 This is a very hardy drought adapted west coast native shrub to small tree for average, well drained soils and NO summer irrigation. Full sun and room to spread. Avoid rich, amended soils- leaner conditions produce a much hardier and longer-lived plant.